It's Noche Buena, the night before Christmas, and Alfredito and his parents head for the train station for their annual trip to their relatives in Santiago. But this year things are different. The government is fighting a war against the rebels and the trains are not running. Alfredito worries that they'll miss the family's traditional Christmas celebration and all the special foods. Alfredito's father enlists the help of a farmer, and they set out down the bumpy road. Little does Alfredito know, they are embarking on a great adventure he will never forget. 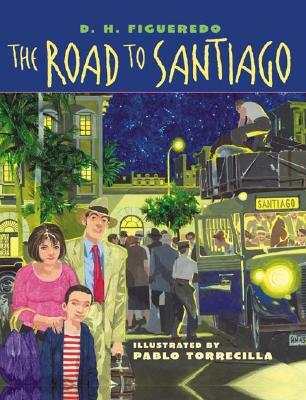 Based on author D.H. Figueredo's own experiences growing up in Cuba in the late 1950s, THE ROAD TO SANTIAGO is an action-packed celebration of the human spirit. This heartwarming story is perfect for sharing with the whole family all year long.